Who Do You Know That Needs to Unplug? PITTSBURGH (March 25, 2018) – Your wife looks at it at every stoplight. An hour without checking your Twitter feed makes you anxious. Is it an addiction or a diversion? The Renaissance Pittsburgh Hotel has announced a new Digital Detox package for those who are overly attached to their electronic devices. The package is perfect for people who have come to terms with the need to recharge themselves—and not their devices—for a night. It includes a one-night stay in a Deluxe King Riverview room, breakfast for two and vouchers for relaxing activities such as kayaking or biking. As one can assume from the name, the detox aspect includes the surrender of laptops, phones and other devices at check in as well as the removal of the TV and iPod dock station in the room. Instead, guests will be entertained by the addition of literary classics, playing cards and board games. An instant camera rental with limited film is provided to capture the guest’s device-free adventures throughout the city. To celebrate the new package, the Renaissance Pittsburgh Hotel is launching the Digital Detox Challenge where someone can win the chance to get unplugged at the hotel for a night. To enter, simply submit a story on the Renaissance Hotel’s website explaining why the nominee desperately needs a break from technology. www.renaissancepittsburghpa.com/our-pittsburgh-hotel/digital-detox-getaway/ Nominations will be accepted until May 15, 2018 and one winner will be selected to win a Digital Detox package. Housed in the historic Fulton Building, this luxurious Pittsburgh, Pennsylvania hotel blends modern styling with traditional architecture, inviting guests to Live Life to Discover. 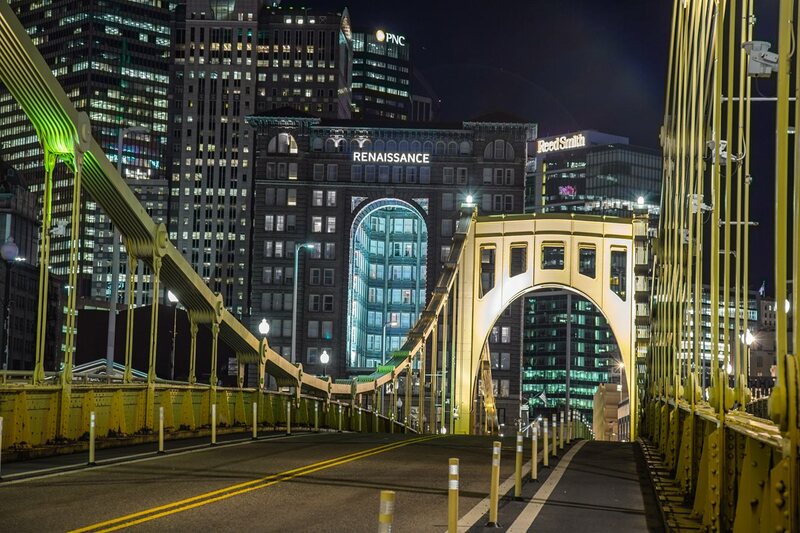 Surrounded by five world-renowned theaters in the heart of the Cultural District, this hotel in downtown Pittsburgh is near the excitement of Heinz Field, PNC Park, and Consol Center, as well as the David L. Lawrence Convention Center. 10,000 square feet of meeting space provides sensory design for productive business meetings and lavish weddings. The Renaissance offers 291 guest rooms and nine suites, many with spectacular views. For more information or to make a reservation, call (412) 562- 1200 or visit www.renaissancepittsburghpa.com.